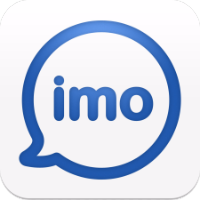 imo is another application to communicate with your loved ones. Call your family and friends for free and send a message! • Increase in SMS and phone charges - unlimited, free messages and calls with 3G, 4G or Wi-Fi. • Make high-quality video and voice calls. • Group chat with friends, family, roommates and others. • Sharing photos and videos. • Express yourself with free labels. • Optimized for Android tablets. If you no longer want to use the imo app, you can follow the account deletion instructions at the bottom of the page. Delete your Imo.im account Be logged in. Click the gears icon (top right). Please read the instructions carefully before deleting your account. Your account may not be undone after it has been deleted.